If there was one part of London I could permanently relocate to, it would be Camden Town. There’s something about laid back, diverse yet slightly eccentric area that I just can’t get enough of. 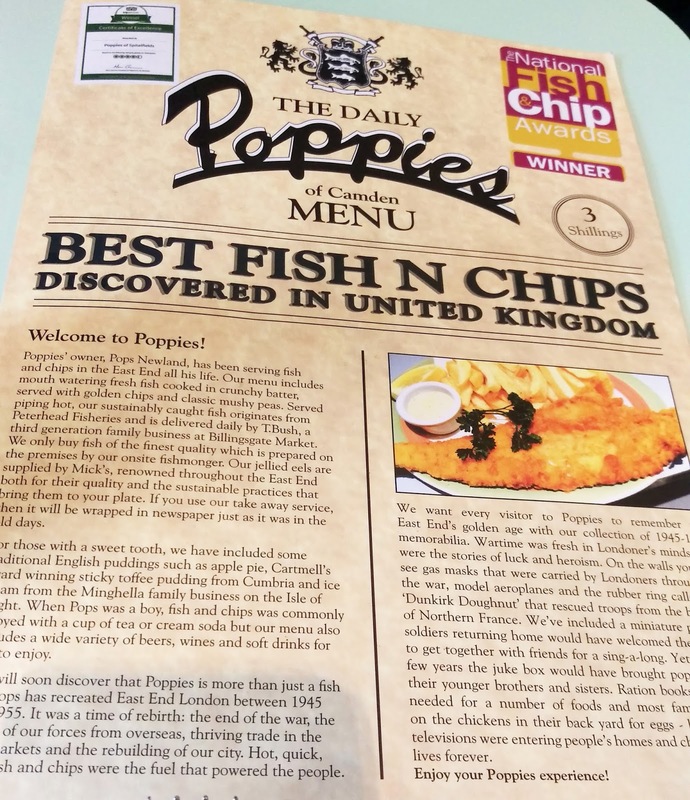 There are hidden gems around every corner and one of them is the only place for authentic Fish & Chips you will ever need to visit – Poppies. I absolutely love how this beautifully decorated restaurant (and take away) takes customers back to the 1940s and London’s re-birth after the war from the moment you step in. Even the waiters and waitresses are dressed in style. At around lunch time there’s usually a queue outside because it’s just that popular. If you visit at the weekends, there’s usually a live jazz band playing upstairs and when they’re not around the restaurant is stilled filled with the sweet sounds of classic jazz records. The menu has a little bit more variety than your local chippy so you’ll be pleasantly surprised that they also serve meat pies and sausages, but the fish is their signature dish. All fish at Poppies is always extremely fresh (or so I hear) but I only really stick to cod. The many times that I have had the cod, I have to say it is so flaky that it melts in your mouth. The chips are always cooked well and you’re not given any tiny scraps of potato, just the good stuff! 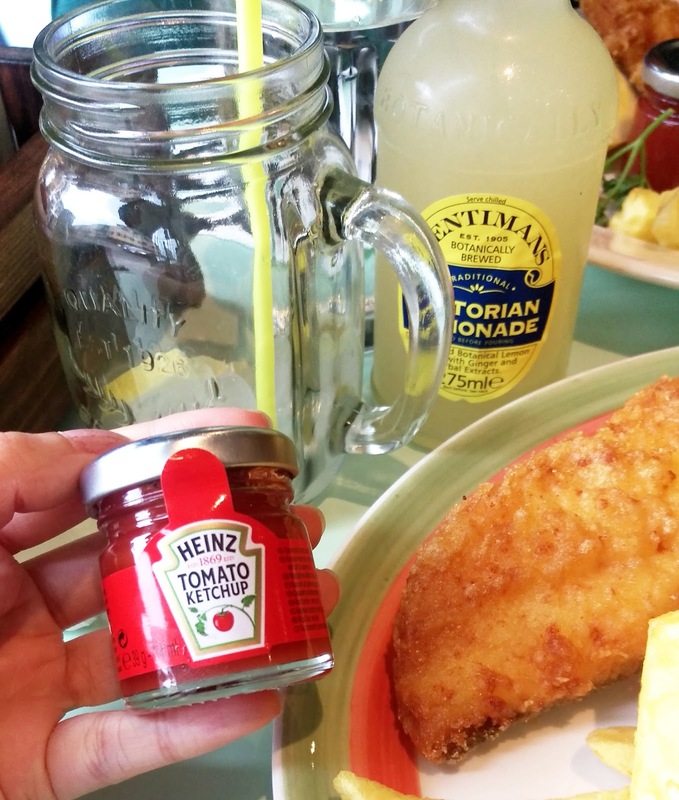 At my last trip this weekend, I was pleasantly surprised at how they now even served their ketchup and tartar sauce in tiny little jars! Another big hurrah for replacing their glasses with mason’s pitcher’s. How cute. If you’re in the mood for fish and chips, this is definitely the first place that springs to mind, however it’s (a lot) pricier than your local chippy. 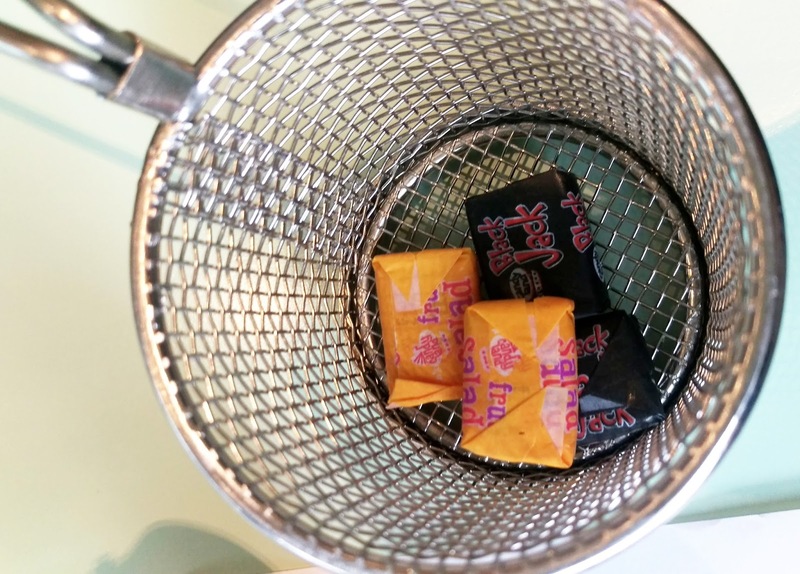 Still nothing leaves a smile on your face quite like a tiny basket of retro sweets. On a side note, if you haven’t tasted Fruit Salad or Black Jack’s before – what even?! The staff are also really attentive and you’ll definitely get service with a smile. If you like your fish fried fresh just for you then you can also request this. 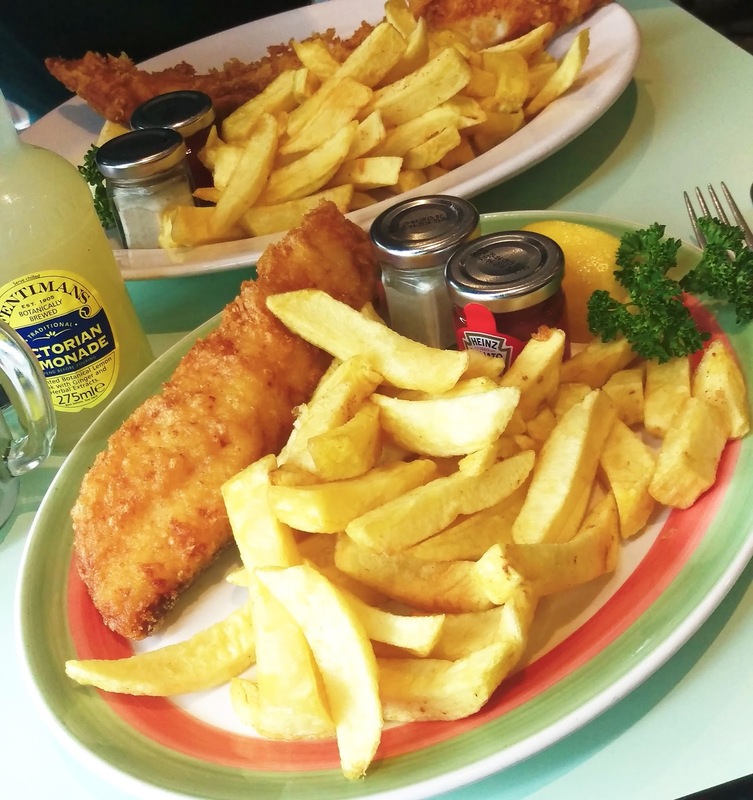 Without a doubt, Poppies is definitely the best place to get fish & chips in London – High recommended!